With no family history of diabetes to reference, Bates was in uncharted territory on her diabetic journey and she reached out to others so as not to do it alone. When doctors told April Bates that she had Type 2 Diabetes in November of 2015, it was at the same time they diagnosed her with Congestive Heart Failure. While the heart problem required great concern, there was no getting around addressing the diabetes as well. With no family history of the disease, Bates was heading off into uncharted territory. And for people who have gotten to know her since her diabetic journey began, be it those with whom she interacts with in Facebook support groups, or viewers of her YouTube videos, will attest, April Bates has one of the most playful attitudes about life that you’ll come across. 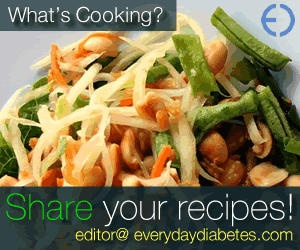 Everyday Diabetes Magazine recently caught up with April at her home in Deland, Florida. What was your reaction when you found out you had diabetes? When I was diagnosed in the hospital I was also diagnosed with Congestive Heart Failure as well, so Diabetes was not really a concern. There isn’t much that I have control of when it comes to the heart failure so at least with the Diabetes I can do something about it, I can control it. So in a way being diagnosed with Diabetes is a good thing for me, it gives me something to focus on and have control over in my health. I was watching YouTube on a regular basis and it looked like a fun way to connect to the world and try to start a conversation with anyone and everyone I could reach. 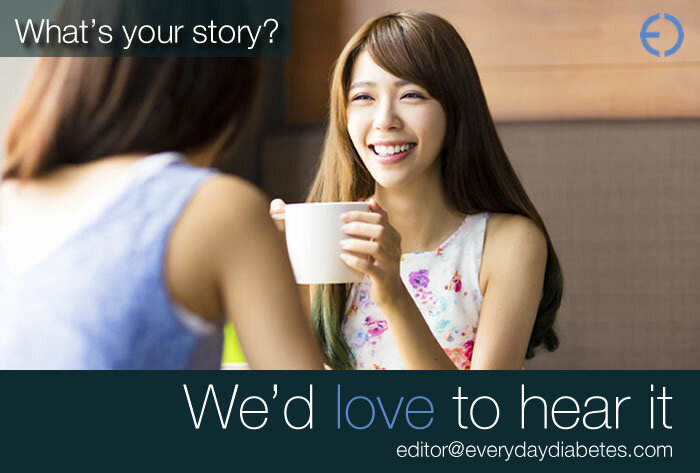 Has having diabetes affected your day-to-day professional life? Since I haven’t had a job since I was diagnosed, I suppose it hasn’t lol. But seriously, remembering to stop and take the time to eat at regular times when I am in the middle of working on my videos, playing video games or doing crafts has been a challenge for me. I was never a eat three meals a day kind of person, I forgot or put off eating all the time before being diagnosed. So, that is something I am working on. What are some of the complications you’ve had and how have you dealt with them? I started to have Neuropathy in my feet probably a year before being diagnosed, but I had no clue what was going on. Now I take Gabapentin for it. Also, since being diagnosed I have had issues with my eyesight being hampered by broken vessels, blurry vision and sensitivity to light. My doctor says I have a decent amount of damage but that the damage isn’t irreversible. How about support? Are there any groups or individuals or other outlets you’ve turned to over the years? Well I joined some Facebook groups for both of my health issues. I am an admin for my favorite Diabetes group, Diabetes Type 2 Group Support, which is on Facebook, they are a wonderful group of people. Otherwise, I personally haven’t found any support groups in my area. When I was trying to figure out what in the world was wrong with me, Diabetes did come up but, I, like so many people, thought it only happened to people who were very overweight and ate a ton of sugar. You’ve recently started posting YouTube videos about your condition as well as everything from Star Trek to how to not be a “douchebag”. What inspired you to start making the videos and how has the reception been? I have always been an introvert, living a mostly internal life, when I was diagnosed with my heart failure and told I could no longer work it took away my main source of social interaction. Which, at first, was fine with me, lol, but after a few months I started to feel a need to connect with the outside world. I was watching YouTube on a regular basis and it looked like a fun way to connect to the world and try to start a conversation with anyone and everyone I could reach. It also gives me a creative outlet and a way to get my internal dialogue out into the universe. As for the reception it has been both encouraging and discouraging. It takes time to grow a channel and I am still in the beginning stages, learning how to do everything and finding ways to make my videos entertaining enough that people will want to subscribe and keep watching my content. If anyone wants to check out my videos my channels name is, SuaSaya! I need all the help I can get because I am horrible at self promotion, lol. 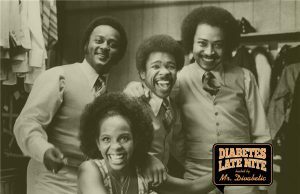 What do you think about diabetes awareness in America? Is there anything you would like to see change? Personally, I think it is rather poor, there are so many misconceptions about it that I feel it is detrimental to both those diagnosed and those not diagnosed. I was one of those people and when I was trying to figure out what in the world was wrong with me, Diabetes did come up but, I, like so many people thought it only happened to people who were very overweight and ate a ton of sugar. I have never been a big sugar eater and was only a tiny bit over the healthy body weight index for my height. So yeah I thought that could not possibly be something I had especially when there was no family history. I really think people should be better educated on Diabetes because the number of people being diagnosed is growing exponentially! Our Americanized diet is spreading across the world and so is Diabetes! That is not a coincidence. April with her husband, Richard. 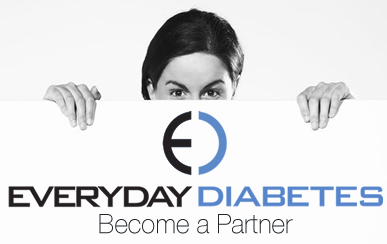 What are you most proud of on your diabetic journey? That’s a hard one, I suppose it’s that I have finally started to peak out from the curtain of my internal world and started to interact with other people. Well , your life isn’t over, you are not going to starve, there are still plenty of wonderful things to eat, look at this as an opportunity to take care of yourself and get healthy, and most importantly go check out my video “Welcome to the wonderful world of Diabetes “! Really though, you can do this. You will hit many bumps in the road and have days where you just give up but, cut yourself some slack tomorrow is a new day. Check out April on YouTube.